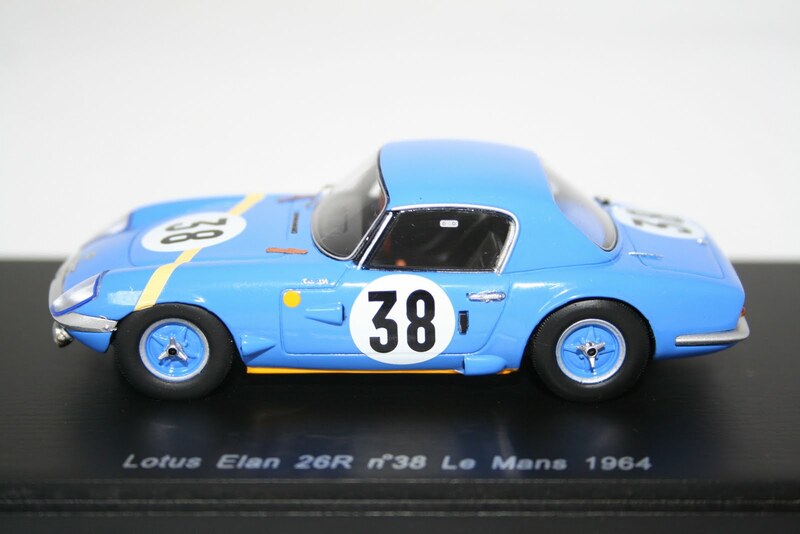 New in stock this week is this beautiful Lotus Elan 26R sports car as raced at Le Mans in 1964. Built by Spark this would make a stunning addition to any ones collection and the attention to detail is second to none. Also new this week is a 2010 Audi R10 Le Mans Car, the latest Valentino Rossi Ford Focus by IXO plus a classic Renault 5 Turbo from 1984. For details on these models plus 100's more please visit our store below. Hart Motorsport have just received the latest 1:12 Rossi figure by Minichamps. 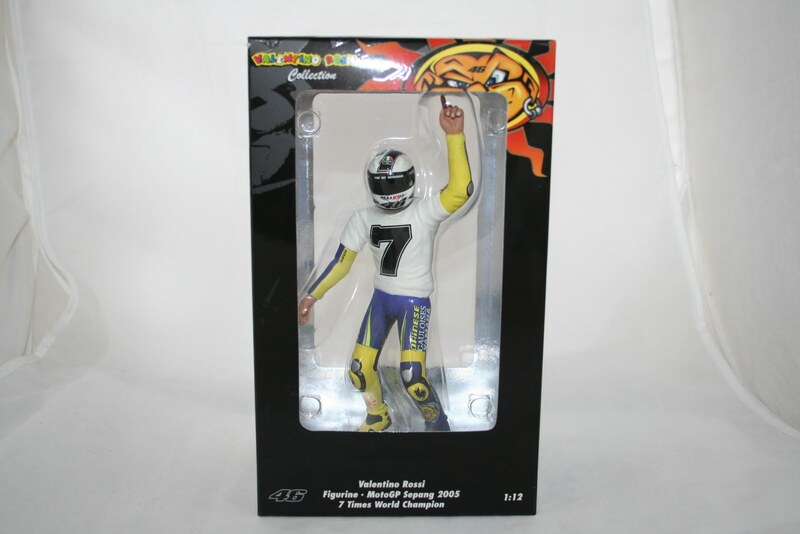 Now in stock is this replica taken from the 2005 Moto GP race at Sepang. 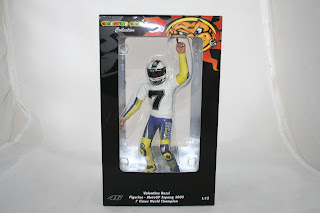 The model features a standing Rossi figure with a one off helmet and T Shirt celebrating his 7th World Title. The model is available for £36.99 from our store below and is one of many Rossi figures available. 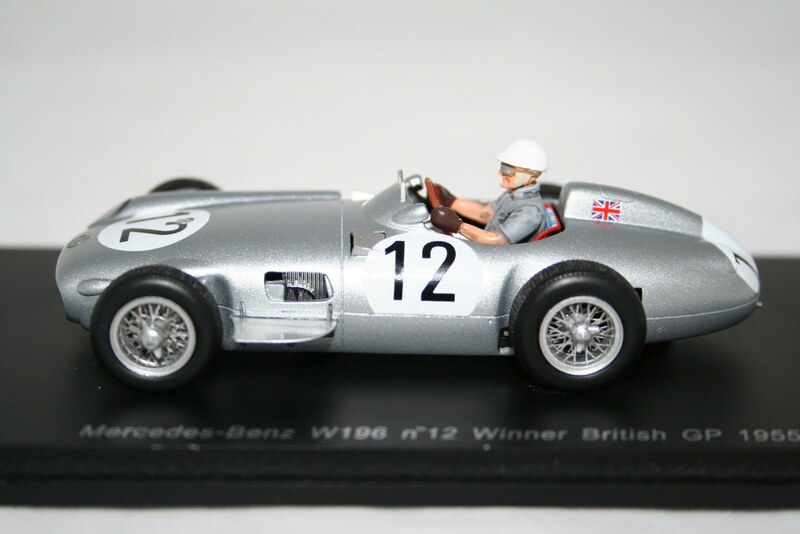 The pick of this weeks new arrivals must be this stunning Mercedes Benz W196 model. 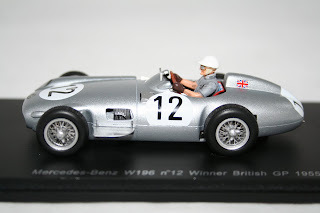 Built by Spark this 1:43 scale replica is the car that Sterling Moss won the 1955 British Grand Prix. The attention to detail on this model is one of the finest 1:43 replicas we have ever seen. Also new in stock this week are some of the following models listed below. For full details on these plus 100's more please visit our store below. 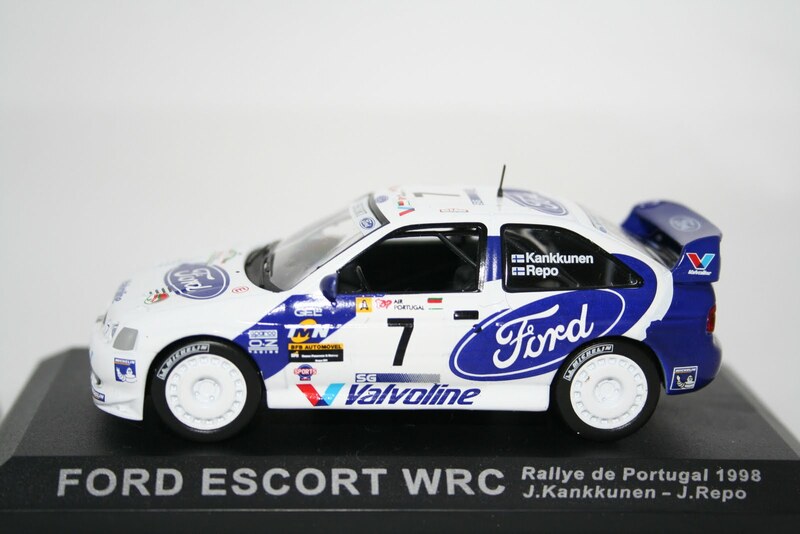 Hart Motorsport have just received re stocks of over 30 new 1:43 scale Rally Cars by Altaya. All models come mounted on a black display stand and have a hard perspex cover. Each model is built to a high standard and the cars have good detail both inside and outside of the cars. Listed below are a few of our favorites but please visit our store below to see the full range. 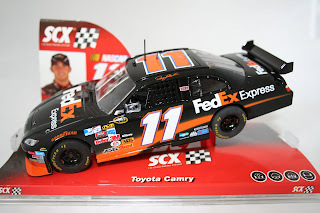 Hart Motorsport have just received a large selcetion of SCX Nascar slot cars. These 1:32 scale models are built to the highest standard and all the anolog models are fully compatable to run on any slot car system. 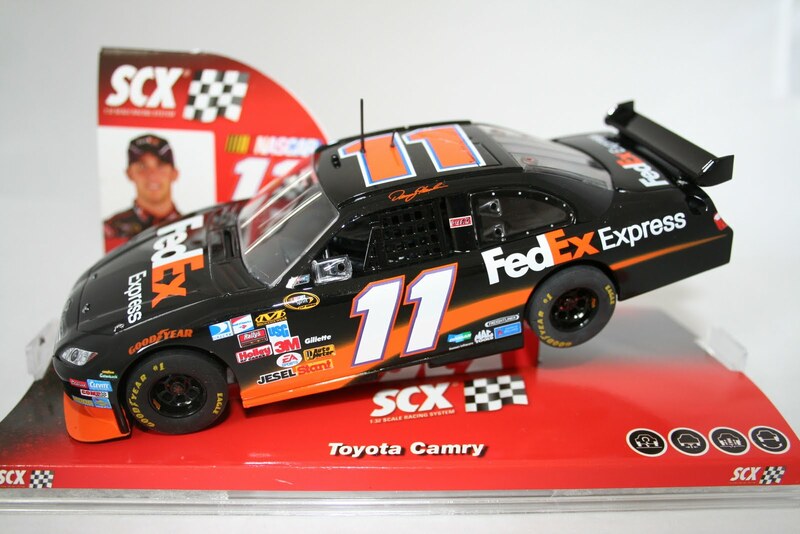 For a full list of available Nascar slot cars please visit our store below and click on Scalextric cars.